Turkey and the Netherlands are currently experiencing a tense diplomatic period, after Turkey’s foreign minister Cavusoglu was stopped from entering the Netherlands to attend a political rally. Some in Turkey have taken exception to the action, with President Erdogan calling the Netherlands a “Banana republic”. 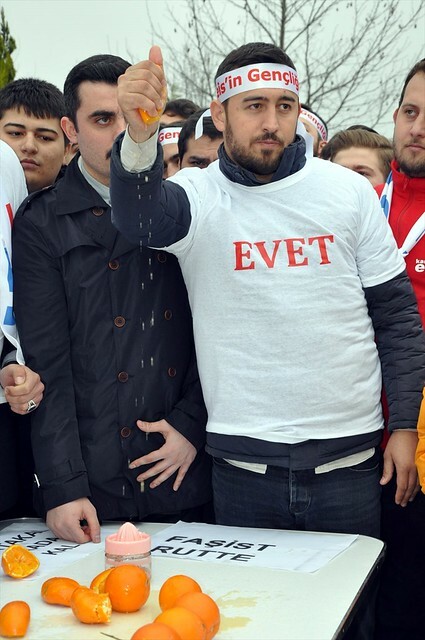 But supporters of Erdogan have taken their protest to a new level: from bananas to oranges. Some Turks have taken to squeezing oranges onto the street, to show their dissatisfaction with the Dutch government’s actions. Orange, the colour, has long been associated with the Dutch and their royal family. This dates back to their Protestant origins, and William of Orange, the first King of the Netherlands. Through the years, many things have been coloured orange in deference to the nation’s royals. Dutch sports teams and their followers are known for being brightly coloured, and the canals of Amsterdam are filled with orange boats and revellers for King’s Day each April. Though the relationship between orange carrots (they do come in many other colours) and the Dutch royal family is well reported, there is no obvious connection between the northern European country and the citrus fruit., except the colour of course. 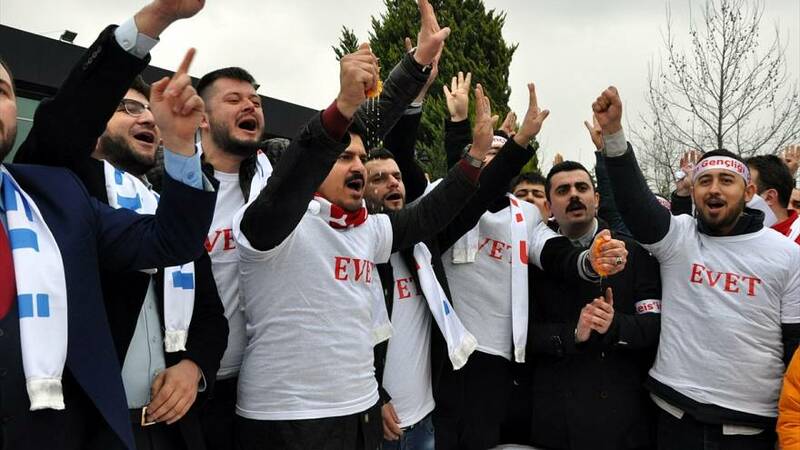 Members of Erdogan’s AKP gathered in the southern city of Izmit, where they squeezed oranges for the press cameras, and even drank the juice produced by their anit-Dutch protest. Protesters also held signs calling Prime Minister Mark Rutte a “fascist”, and some calling the whole nation Nazi or fascist. It comes after President Erdogan’s claim that the Netherlands is the capital of fascism after Cavusoglu was denied entry.